Pulau Tioman (Tioman Island) lies off the southern east coast of Peninsula Malaysia. It’s a popular island for divers and has accommodation from backpacker guesthouses to luxury hotels. For non-divers there are stretches of sandy beaches, and the interior has forest walks. The east coast of Malaysia is conservative Islamic (noticeably so after being in cosmopolitan KL) so this is not a party island. If you looking for diving trip or a quiet getaway then this is a suitable island. Tioman hotels – Search for discount for hotels in Tioman Island with Agoda, who find the best hotel deals in Southeast Asia. I stayed at the ABC Chalet And Restaurant in Kampung Air Batang. 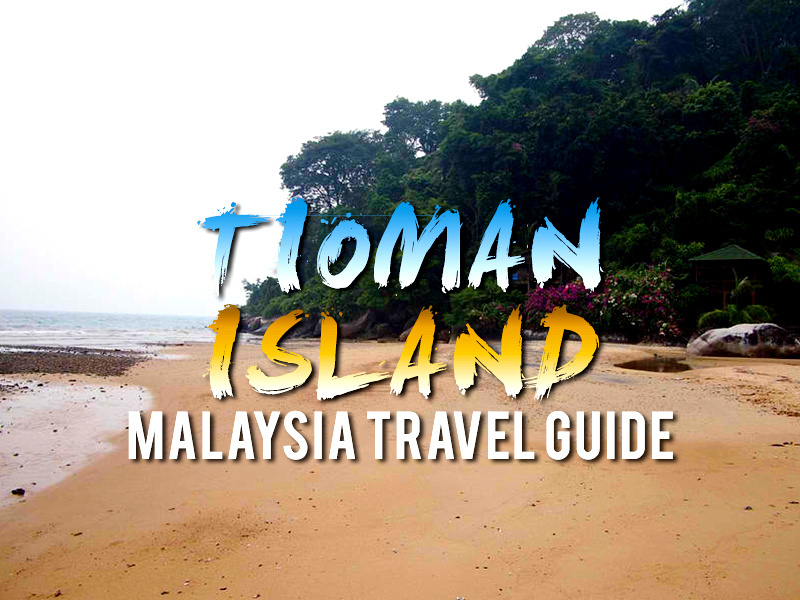 Tioman Island – Tioman travel guide featuring things to do and accommodation. tioman.org – Travel guide to Pulau Tioman. Lonely Planet Malaysia, Singapore & Brunei (Travel Guide) – If you visiting Tioman while visiting the rest of Malaysia get the Malaysia Lonely Planet. Tioman Island Photo Gallery – Photo gallery of Tioman. Tioman is closer to Singapore than Kuala Lumpur so that is something to consider in your planning. From Singapore there are buses departing to Mersing, which is where the ferry departs. Buses depart from the Golden Mile Complex (5001 Beach Road) and cost 35 SGD for a 3 hour trip (including the border crossing). From KL buses depart from from BTS (Bandar Tasek Selatan) to Mersing and there are several companies making the trip. From Mersing to KL I travelled with Sepakat Liner which took 5 hours and cost 38.30 Ringgit. The Ferry from Mersing to Tioman is operated by Bluewater Express and takes 2 hours and 35 Ringgit one way. The ferry timetable is determined by the tides, so a schedule is published every month of departure times. Some days there is only one departure, and departure times can vary by hours, so to be sure arrive early to get ensure a same day departure.